For people who thought the housing crisis was behind us, a drive through Englewood, North Lawndale or Austin will quickly dispel that rosy notion, as a recent investigative report in the Chicago Reader explains. These communities are among many in Chicago that have been ravished by white flight, segregation and predatory lending since redlining and housing discrimination were officially outlawed in the 1940’s. Black and Latino families, trying to buy into the American dream, to create stability, pride, and wealth for their families, have been targeted by vulture capitalists for over 80 years. These families have been robbed of billions of dollars and their communities have been devastated by “racially targeted disinvestment.” The history of this goes back to the mid-twentieth century when nearly 85% of the Black-owned homes in Chicago were owned by companies selling contracts instead of mortgages, a concept known as “contract selling.” Dr. King called this “economic disenfranchisement.” Ta-Nehisi Coates wrote about this extensively in “The Case for Reparations,” which details the experience of North Lawndale residents caught up in the contract selling scam. The federal government refused to sell mortgages to African Americans in the 1950’s, so companies came in to fill the void and make enormous profits. However, very few people ended up owning their homes in the end. Contract selling scammers helped fuel white flight by playing to white homeowner’s fears about integration, bought their homes cheaply, and then turned around and sold them to Black families at much higher prices. Decades later, the predatory lending via subprime mortgages by Wall Street banks led to the housing crisis in 2008 that brought the U.S. economy into a depression. Now, Wall Street companies, led by some of the same greedy capitalists involved in the recent housing crisis, have brought back contract selling in distressed communities across the country. Now, Wall Street companies have brought back contract selling in distressed communities across the country. Using all kinds of slick and manipulative marketing strategies, these contract selling companies buy up foreclosed homes for rock bottom prices and then contract them out to people who do not have access to credit because big banks will not offer them loans. The unsuspecting contractors, who think they are buyers, do not realize that they are not in fact buying a house, and they do not realize that the interest rates are twice what a bank would offer. Chicago’s long history of discriminatory lending and redlining means that communities of color don’t have access to the kind of resources or advising that help a family purchase their first home. Instead, contract sold houses come with fine print scams that require the contractors to immediately sink their own dollars into long-neglected repairs while the companies can kick out the families without the same due process to which banks must comply. Then, the company can begin the cycle again on a new unsuspecting victim. 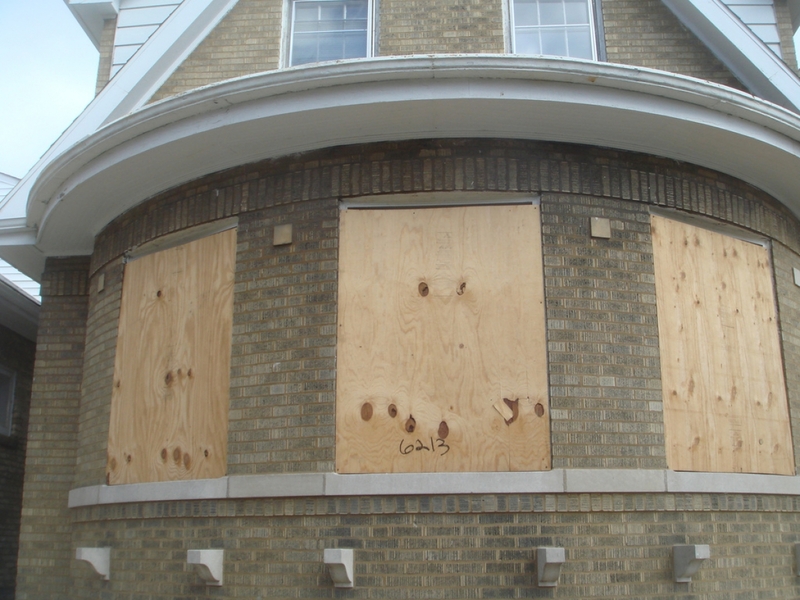 In the decade between 2005 – 2015, foreclosures emptied out huge swaths of the south and west sides of Chicago. That, coupled with the destruction of CHA and the proliferation of charter schools, caused the enrollment to drastically drop in neighborhood public schools and emboldened CPS to close almost 100 schools. Now these communities are inundated with boarded up houses and boarded up schools. Instead of clamping down on these predatory lending schemes, the Trump administration is appointing people who are known foreclosure scammers and who intend to further deregulate or completely dismantle the federal agencies in charge of protecting consumers and home buyers. The Trump administration is appointing people who intend to further deregulate or completely dismantle the federal agencies in charge of protecting consumers and home buyers. Victims of the first iteration of this contract scam organized into the Contract Buyers League and led payment strikes and federal lawsuits. Their work led to the Fair Housing Act of 1968. We are once again in need of organizing against these capitalist vultures intent on profiting from the demise of our communities. disinvestment, poverty, racism, segregation. Bookmark.